What does one do when a major employer starts shedding all its temporary contractors? Do longer term, full time employees suddenly have to pick up intense, excessive workloads? What happens when there is a new owner or a new manager and they change the mission and the vision? What happens when the Government stops providing for essential community services like Environment Protection? What do we do as a community, when the elected Government does not have a viable opposition and can basically do what ever it pleases? Can Social Enterprise fill the gap in the market? For more than 20 of the last 22 years, the environment movement has been "in da house" and at the table, negotiating, lobbying and advocating for Environment Protection. Dear friends of mine who had been leading the Environment movement in the Joh years, ended up as Ministerial advisers, writing policy and influencing legislation. Those people are no longer employed. 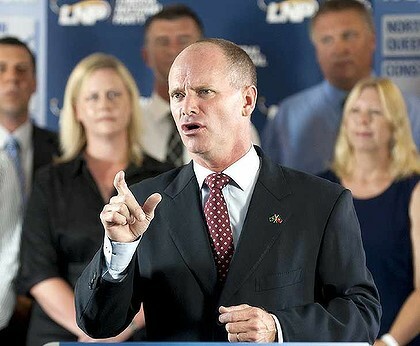 The new Queensland Government, led by Campbell Newman is making de-necessary people, policies and so-called "red tape". He has tunnel vision. There are a lot of babies in the bathwater.